Fire Safety Regulations When Importing Fabrics, Furniture and Other Products from China! It’s Friday today and that can only mean one thing – it’s time for this week’s Reader’s Question post! Today I’ll be answering an email sent in to me by Steven, who is looking to start an importing business, but needs some help. And that’s exactly what I’m here for – so let’s get to it! I’m starting to import homeware goods like throws, rugs, furniture etc. and I’m concerned with laws governing the import of fabrics. I’ve heard there are laws stating textile goods have to comply with standards i.e. fire retardant materials etc. but I’m struggling to find any info on it and don’t want to get the goods to customs and be told I can’t have them or be told that I’m not able to sell them on my site. Have you had any experience in this kind of work Andrew and can you shed any light? I also wanted to say a quick thank you for all of your business related help, out of all of the blogs, Facebook pages, and YouTube channels out there, I find your content has explained queries the most clearly and to the point. Coming from a haulage background into this world has seemed daunting for me if I’m honest but I’m gonna give it my best shot! If you get a moment to reply to my email, that would be brilliant! Thanks for your email & question Steven. And thank you for your kind words – I obviously put a lot of time and effort into this blog but it’s all worth it if I can help people achieve their dreams and create their own online business, so I’m very happy to hear that it’s been helping you. Moving on to your question and yes – you’re 100% right, there are laws in place regarding the fire safety of furniture and related goods that you, as an importer and seller of such goods, have to comply with. Specifically, it is The Furniture and Furnishings (Fire Safety) Regulations 1988 that you have to comply with. These Regulations are UK Law “designed to ensure that upholstery components and composites used for furniture supplied in the UK meet specified resistance levels and are suitably labelled” and they’re enforced by the Trading Standards Department. Importing, Exporting, TT, WU, MOQ, FCL, LCL ALL EXPLAINED! Last week we covered General Business terminology and today it’s time for Importing & Shipping! If you’re new to my blog, this is a 4 part post series in which I’ll cover the most important terms used in the online business world. Each week I cover a specific topic – last week it was General Business terminology, today it’s Importing & Shipping and in up-coming weeks I will also cover eBay & Amazon, as well as eCommerce. Importing – when you buy goods and ship them from another country. Quite often we don’t the use word Importing when buying goods from another European Union country because when you buy from another EU country, there is no customs procedure and we don’t have to pay VAT/import duty. But in general, when you buy from a supplier located in another country, this is called Importing. Exporting – when you sell goods and ship them to another country. Just like with Importing, when you sell to another EU country, we usually don’t use the word Exporting as there will be no customs procedure in place due to the Free Goods Movement Act all EU countries have accepted. Shipping – simply means sending goods from one place to another. There are various shipping methods available which we’ll cover later on in this post. Stock – term used to describe products/items for sale. B2B – Business to Business. This term is used to describe a transaction between two businesses. Many suppliers will state on their websites that they deal with B2B customers ONLY. This means that they won’t sell directly to end customers, in quantities of just 1 unit. B2C – Business to Consumer. When a company sells directly to Consumers. Basically any business selling online to retail customers follows a B2C business model. This term is not as widely used as B2B as if it’s a normal online store, it’s obvious that it’s B2C. However, B2B businesses on the other hand are usually clearly “labelled” so that consumers who are looking to buy just 1 item know that this is not the place to look. MOQ – Minimum Order Quantity. This is a very important term you use when communicating with suppliers. It states how many units you need to buy from a supplier to even get a deal. Sometimes you can negotiate MOQs, as covered in my post here. Importing Cosmetics from China is NOT as Easy As It Seems! I recently received an email from a blog reader, Arron, who’s looking to invest his £5,000 starting budget into creating a new brand of male cosmetics. Is that a feasible budget or do you need more money? Or is the cosmetics niche simply too difficult, with too many rules and regulations? That’s what we’re going to find out in today’s post! I have become interested in creating a brand around male cosmetics and wanted a bit of advice. I am looking at importing products from China however, I am aware that the UK/EU have a number of requirements/restrictions in place. Have you ever worked within the sector before? Do you have any advice on best practice i.e. ensuring the supplier has all the certificates, and that they’re real! As my buying power is rather small. £5,000 should I look at something “less risky”? In terms of legal requirements and responsibilities, you’ve chosen one of the hardest niches possible – cosmetics. Anyone selling cosmetic products in the UK has to comply with EU wide safety regulations – this includes manufacturers, importers, wholesalers, and retailers (whether you’re a large limited company or a small sole trader). However, if you yourself manufacture the product or you’re the first person to import them from outside the EU, then you’re deemed to be a responsible person under UK law and greater requirements and responsibilities apply to you. The EU Regulation (EC) No. 1223/2009 of the European Parliament is enforced in the UK by the Cosmetic Products Enforcement Regulations 2013 which came into force in July 2013. It is a criminal offence to supply cosmetic products that may cause damage to human health when applied under normal or under reasonably foreseeable means of use. The use of certain substances in cosmetic products is prohibited. The use of certain substances in cosmetic products is restricted. Cosmetic products must comply with detailed labelling requirements. Certain information and records must be maintained by the “responsible person” and available for inspection. “Alibaba is a SCAM” – you see this everywhere! 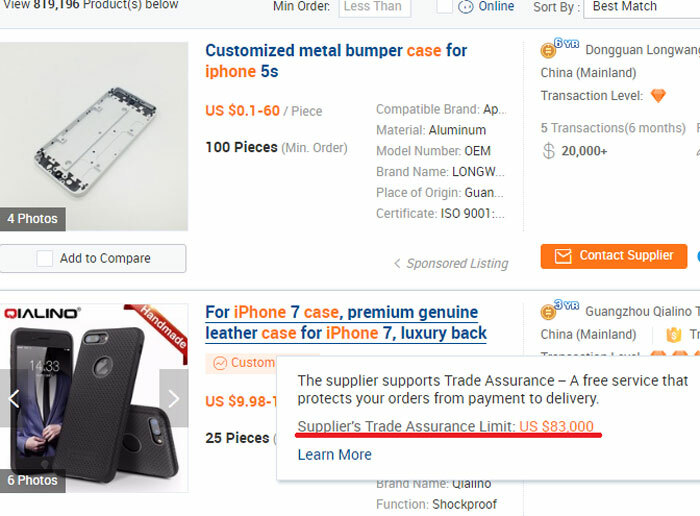 And yes, you may get scammed on Alibaba IF you don’t use common sense… just like on ANY OTHER online marketplace. Really I kinda feel sorry for Alibaba as I know for sure it is not a scam. 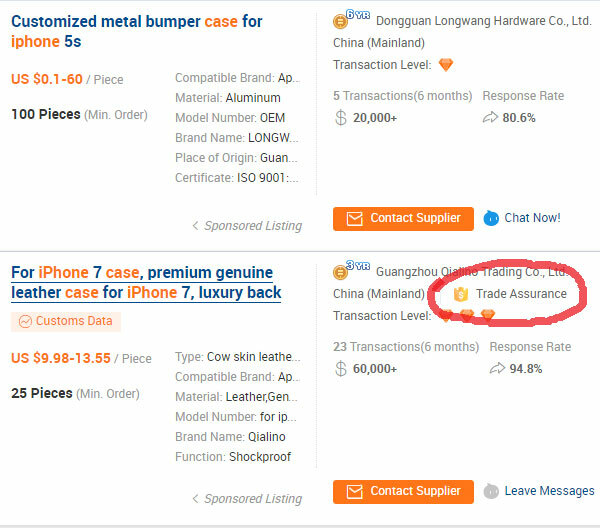 Alibaba is simply a platform where buyers and sellers meet. Yes, there are of course scammers on Alibaba but that doesn’t mean Alibaba itself is a scam. With that logic you can then say that eBay, the Yellow Pages and even your local business directory are scams as you can find MANY unscrupulous businesses there too. The biggest problem this ‘Alibaba scam’ myth creates is that people who are new to importing are too afraid to even start their research process as they have that one line repeating in their heads – Alibaba is a scam, Alibaba is a scam, Alibaba is a scam…. that’s why, with today’s blog post, I want to clear the air once and for all and give you a step by step filtering system you can use to avoid 99% of scams on Alibaba and unlock one of the world’s biggest online marketplaces. But before we go into the actual verification process; let me quickly remind you that you cannot get any kind of branded items wholesale from mainland China. I’m talking about electronics, DVDs, software, designer clothing, shoes and similar items. If you’re looking for anything branded, China is NOT the place to go as you’ll either get scammed or at best, receive fakes. What is a BRANDED product? These are brands that are well known to everyone and even though most of their products are manufactured in China, you CAN’T buy them in wholesale from Alibaba and other such similar sites – you simply cannot! Companies with manufacturing operations in China have very strict distribution policies in place and it’s not like someone can walk out of a Foxconn factory (they do most of Apple’s products) with 10 iPhones in their pockets to sell on Alibaba. It’s not possible to buy iPhones directly from Foxconn, even though they’re the ones who manufacture them. This is NOT how things work in China!! 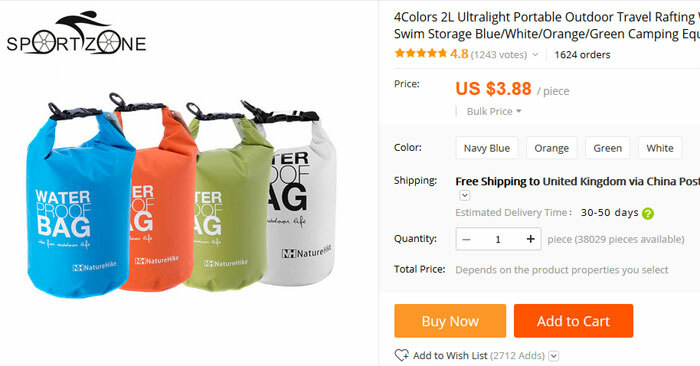 Product Sourcing on Alibaba.com – Buying Requests vs Searching Manually? A little while ago I took a look at one of Alibaba’s new tools – the AliSource Tool. You can check out my full review of that here: Alibaba’s AliSource Tool – Does it Work?, but basically it’s a tool that allows you to automatically post a buying request for any item you find on Alibaba, AliExpress, Amazon, or eBay. And in my review I spoke a little bit about how I personally don’t use buying requests and instead prefer to search for suppliers for a product manually. Quality over quantity – this is really the main reason! I prefer to select and talk to a view different companies so I can get a proper feel for them, makes notes etc. rather than just being contacted by countless companies that I know nothing about. BUT, this is all personal preference, it’s how I prefer to source products and find suppliers but for some people the ease of posting a buying request may be more beneficial. So today I want to do a little test – I’m going to put buying requests up against manual searching and see which comes out on top! I’ll post a buying request for that product using the AliSource Tool. I’ll manually search on Alibaba.com for suppliers myself (but in order to simplify the process, the only filter I’m going to apply is that they have to be a Gold supplier). I’ll compare the results (pricing and MOQ), in order to see if there is any real difference between the two sourcing techniques or if it really is just a matter of personal preference. Alright, it’s time to get to it then! Just as a reminder, I select products on a fairly random basis for these tests, it’s not based on profitability or anything like that! Shipment Arrived WITHOUT Customs Clearance! What to do?! 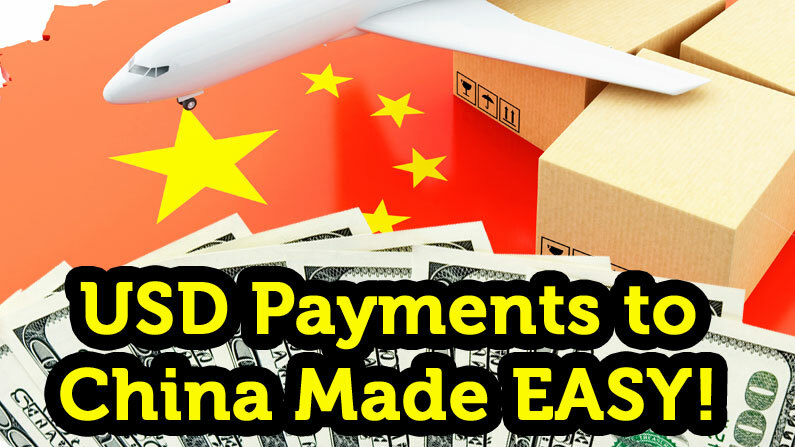 I regularly receive emails & blog comments from people who have imported something from China – shipments that should have been declared through customs so that import duty and VAT are paid – but they arrive without any such charges. This usually happens because Chinese suppliers UNDER-DECLARE the value of the goods sent to you. E.g. you bought something for £200 but the supplier marks the package as a GIFT and puts $20 as the value, which by law means there are no taxes to be paid. For personal use this doesn’t create much problems BUT if you’re a business owner or sole trader, this is a big issue as you can’t properly book the transaction as you haven’t paid any taxes. And even if you do, if you get an audit from HMRC they will quickly find out that you haven’t paid taxes on these purchases which could lead to penalties. If your goods are delivered via sea freight or air freight, then there usually won’t be any problems as the shipping company will by default process your shipment through customs. 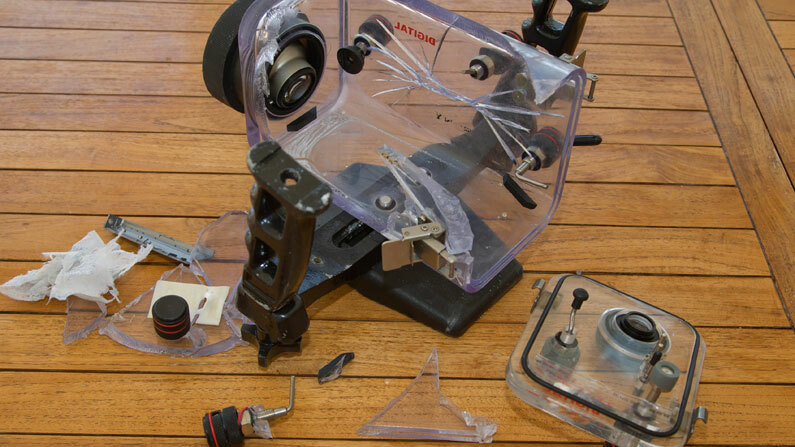 Problems usually occur with courier companies and Royal Mail (airmail deliveries). 1) Always, always ask your supplier to attach the REAL invoice with the REAL value listed on the outside of the package and to fill in any attached customs forms properly. In many cases this will help but it’s still quite common for Chinese suppliers to under-declare your shipment, even if you’ve asked them not to. 2) If your goods are being sent via courier (DHL, FedEx, UPS etc.) then once it’s been dispatched and you have the tracking information to hand, you should call the courier and inform them that this shipment requires customs clearance. They’ll usually give you the contact details for their customs department, who you can send the invoice and proof of payment to. This way, once the shipment arrives in the UK they’re already prepared and ready to do the proper customs clearance.